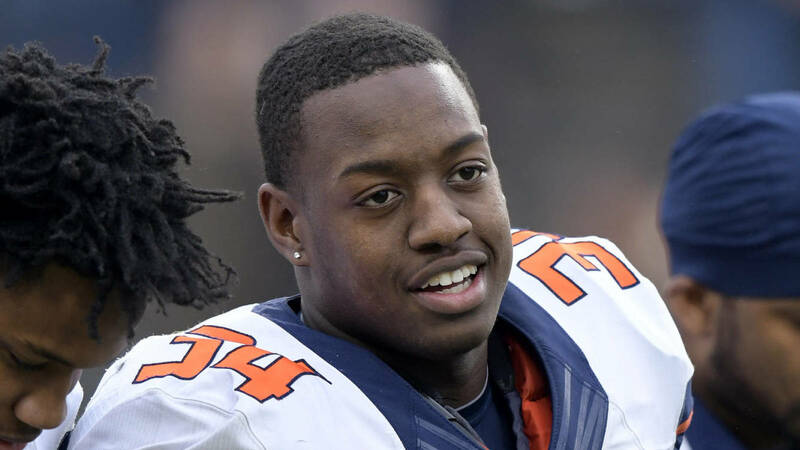 Christion Abercrombie suffered an apparent head injury. An exciting game between Tennesee State University and Vanderbilt was quickly brought to a somber mood when it was over. TSU middle linebacker Christion Abercrombie was rushed to the hospital during the game after collapsing on the sidelines. Abercrombie was injured on a play during the second quarter and was administered oxygen on the sidelines before being taken out on a stretcher. TSU coach Rod Reed told the Tennessean that Abercrombie suffered a head injury and was rushed to Vanderbilt Medical Center, where he underwent emergency surgery. Players from Tennessee State and Vanderbilt gathered at midfield as soon as the game ended to say a prayer. Abercrombie was listed in critical condition following the surgery, according to a TSU release. Abercombie is a sophomore transfer from Illinois. He came into the game as TSU’s second-leading tackler with 13 tackles. Vanderbilt coach Derek Mason brought up Abercrombie’s injury during his post-game press conference. A high school football player dead this past Sunday morning from brain injury in Georgia and now this. I guess the fact that they’re just modern day gladiators doing their thing in stadiums instead of the Coliseum in Rome means this will continue. Sad, but we all know we’ve got to have the hard hits and collision or else we may as well play powder puff football. And that’s not something the fanatics are going to pay to support. Next!